Amoke Kubat has written a book, “Missing Mama,” that literally grabs you by the throat and holds your attention from beginning to end. Her mother’s tragic death in an auto accident when she was just 2-years-old, catapulted her into a life of constant adjustment as her childhood was spent living with a parade of dysfunctional relatives. Additionally, her father’s multiple marriages, infidelities, and womanizing took precedence over his daughter’s welfare. Amoke takes the reader on a journey through her young life from pre-school to young womanhood. She describes her relationship with her maternal grandmother, who was probably the closest person in her life to a mother. The journey is a virtual roller coaster ride through child sexual, physical, and emotional abuse at the hands of relatives. She describes the horror of being a young black person in America and experiencing racism in a predominantly white school. She explains how as a teenager, she found solace through it all with her best friend’s family. In my opinion, the mark of a good writer is one whose words are written so vividly, so descriptively, yet with such subtlety that the words disappear on the page and the reader only sees pictures in his or her mind. Such is the case with Amoke’s writing. After reading the book, I felt as though I had just watched a movie and a very compelling movie at that. Despite the odds against her, Amoke triumphs in the end. She traces her roots to the Yoruba group in Western Africa and changes her name. Amoke means “to know her is to give her attention; or one who is astute.” Perhaps this is reflective of the attention she needed and never received as a child. “Missing Mama” is a universal story. It has something everyone can relate to. Amoke was a little girl who dealt with more challenge than most adults ever face. “Missing Mama” is a testament to the resiliency and tenacity of the human spirit. It is a story of triumph when faced with tremendous adversity. It made me laugh and it often made me cry, but most of all, it made me proud to be a human being. THE PYRAMIDS: SHOULD HISTORY BE REWRITTEN? 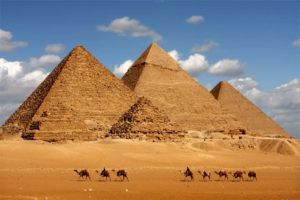 From the time I was a child, I remember being taught in school that the Egyptian pyramids located on the Giza plateau were built as tombs to the pharaohs and that they were constructed by slaves. New research reveals evidence that perhaps this part of ancient history should be rewritten. It has been my observation over the years, from scientific papers and books I have read as well as lectures I have listened to, that the evidence refutes much if not all of what we have been taught about the pyramids. It is from this evidence that I have concluded ancient civilizations were far more scientifically advanced than we have given them credit for. Firstly, we know about the existence of the Egyptian pyramids as well as the ones in Mexico. But pyramids exist on every continent on the planet. Pyramids have been discovered in Bosnia, Peru, India, China and even in the United States. What people may not realize is that the pyramids we are familiar with are in desert climates, thus causing them to be highly visible. Many of the other pyramids are buried under soil and covered with vegetation, obscuring them from view. The history of ancient Egyptian civilization was recorded in hieroglyphics cut into stone. It is interesting to note that none of these stone records attribute the Great Pyramid to a pharaoh or anyone else. Also, independent researcher, Carman Boulter, Ph.D., has brought to public attention the existence of another pyramid in Egypt which is not known to the public. Located on a hilltop near the Giza plateau, this pyramid is unlike the others in that it is open at the top and observers can walk into it. This structure refutes the notion that pyramids were built by slaves simply by its location. The stone blocks would have had to be literally dragged onto a mountaintop before being put in place during construction. Many of the granite blocks that comprise the structures are as heavy as 80 tons and reach heights of as much as 300 feet. There is not even a crane in today’s world that is able to lift that much weight and we are to believe that slaves built these structures? The Egyptian pyramids are connected through a labyrinth of underground tunnels and they were open at the very top or apex of the structure. The apices of the pyramids of the Giza plateau are in perfect alignment to the constellations above. It is now known that they were built as energy generators, certainly not tombs to the pharaohs. Semir Osmanagic, Ph.D., an independent researcher, has written a book called “Pyramids Around the World.” Originally from Bosnia and now living in the United States, Dr. Osmanagic gives attention to the pyramid of Bosnia which is actually larger than the great pyramid of Egypt. Although the Bosnian pyramid is covered with vegetation, its shape is clearly visible. For further information on this fascinating topic, please type into any search engine, Semir Osmanagic and/or Carmen Boulter. Both experts possess a wealth of information on the pyramids. The age in which we live has made it imperative for us to conduct our own research to find the truth about a myriad of subjects. We have an educational system that has been manipulated and teaches us half-truths and outright lies. This information belongs to humanity. We have a right to know the truth. To say that jazz vocalist Dwight Trible is unique is an understatement. Simply put, “unique” means without like or equal; very unusual. Trible is so much more than that. His rich baritone voice can begin in a soft tone and soar into a crescendo, ending in a shout of anguish or pleasure, depending on the story he is telling in song. What is it about America’s only original art form that sets it apart from other art forms? There are probably a multitude of factors, but the one that stands out most in my mind is improvisation. Whenever the listener hears a jazz performance by either an instrumentalist or a vocalist, the outcome is not the same. That is to say, it is impossible to duplicate one performance. In essence, the same artist can perform the same song over and over again, but no two performances will be quite the same. Trible is a master of improvisation. After hearing a recent Trible concert at the Catalina Bar and Grill in Los Angeles, I was transfixed by his artistry. His interpretations of songs both familiar to me and songs I had never heard were astounding. For example, his rendition of what has become known as the first protest song, “Strange Fruit,” resonated with me. The song, originally recorded and made famous by the late Billie Holiday, was familiar. But Trible’s interpretation of it struck me like a lightning bolt and gave me the feeling that I was hearing the song for the first time. He ended the song by intricately weaving his voice in and out of the tapestry of notes produced by the musicians and painting a picture in my mind’s eye of the lynchings in the South that were so prevalent during and prior to the Post-World War II era. A native of Los Angeles, California, it seems like a miracle to me that Trible is not as well-known as he should be. However, he is certainly no stranger to the world of jazz. He has worked with everyone from Bobby Hutcherson and Charles Lloyd to Harry Belafonte. Additionally, he is the featured vocalist with the Pharaoh Sanders Quartet and the vocal director of the Horace Tapscott Pan Afrikan Peoples Arkestra, a Los Angeles institution with a 40-year history. What is art? Art is an expression either in dance, in acting, in visual art such as a painting, or in music and the purpose of that expression is to evoke emotion in the viewer or listener. That emotion can be pleasurable, painful, joyful or sad. The visual artist evokes emotion with a paint brush and canvas. The dancer uses the body, and the singer uses the voice. To quote an article that I read recently, because of artists like Dwight Trible “music can be created with enough emotional and intellectual depth to make one confront one’s own life; music that forces one to journey inside oneself.” As human beings, we often find the answers to our questions through self-exploration. 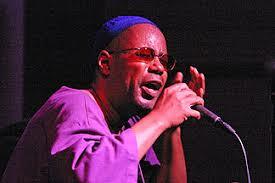 If you are not familiar with the song stylings of Dwight Trible, many of his recordings can be found on YouTube. Music CDs can be purchased through Amazon and other major retail outlets. Give him a listen. You’ll be glad you did. I once heard my sister say that addiction to clutter or as many people call it, “hoarding,” is symptomatic of a deep-seated hopeless feeling which usually stems from a feeling of being unloved. This is certainly not far from the truth. Underneath all addictions lies fear. Fear of emptiness, helplessness, loneliness and aloneness. Addictions are a way to feel safe from experiencing these difficult and painful feelings and an addiction to clutter is no exception. Essentially, it is about having a sense of control over feeling safe. Clutter, like all addictions, provides a momentary feeling of comfort. However, as with any addiction, the hoarder needs more and more clutter to maintain the illusion of safety and comfort. When an elderly woman passed away, her grandson took on the task of cleaning out her house. In the process, he discovered huge amounts of clutter. While the woman’s house always appeared neat and clean, the cupboards and drawers were filled with clutter. To the grandson’s amazement, he found six broken hair dryers in one cabinet. Why would she want to keep six broken hair dryers? According to her daughter, the woman grew up during the depression and always had a fear of not having enough. No matter how much she accumulated materially, she never felt that she had enough. The six hair dryers made her feel safe from her fear, even if they didn’t work. When we don’t feel safe on the inner level, then we try to make ourselves feel safe on the outer level and clutter is one way of doing that. Whether it is things, such as hair dryers, or information, such as in old magazines and newspapers, people who clutter do not trust that they will have what they need. 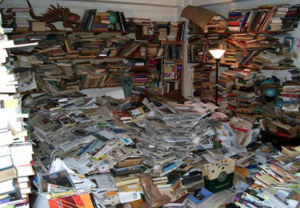 Additionally, hoarders may be resistant people whose messiness and clutter are a way of not being controlled by someone who wants them to be neat. Clutter is created and maintained by a wounded, frightened part of oneself—the wounded self or the part that operates from the illusion of having control over people, events, and outcomes. As long as this self is in charge of the decisions, the clutter addict will continue to accumulate clutter as a way to provide comfort and the illusion of control over feeling safe, or continue to be messy as a way to resist being controlled. Healing can only occur when the individual does the inner work necessary to develop a strong, loving adult self. A loving adult is the aspect of us that opens to and connects with a spiritual source of wisdom, strength, and love. Only a loving adult is capable of exercising loving action on his or her own behalf. The loving adult operates from truth rather than from the false beliefs of the wounded self, and knows that the comfort and safety that clutter seems to provide is an illusion. Only the loving adult who is tuned in to the guidance provided by a spiritual source is capable of taking loving action on one’s own behalf to create a sense of inner safety. Since I was a teenager, I have been fascinated with hats. The well-dressed man always seemed more complete if his expensive silk suit was topped off with a dark-colored felt fedora. The fedora, with its brim obscuring the eyes just a bit, added a touch of mystery. I’ve noticed whenever I wear a hat I seem to get a little more attention from passersby when I’m on the street. During the 1930s and 40s, the gangsters of Chicago and New York City had a tremendous influence on men’s fashion and catapulted the fedora into popularity. Until the 1960s, the hat was the one article of clothing that performed the most important role in indicating social distinctions among men. This class distinction, though more prominent in England, was also evident in the United States. However, in 1961 when John Kennedy appeared hatless for his inauguration, the popularity of the fedora began to wane. Around 1980, we saw a resurgence of popularity in men’s hats. This may have been, in part, due to the emergence of the Indiana Jones movies in which the hero was always seen wearing a fedora. Today, the hip-hop generation has made hats more popular than ever. Varieties in color, fabric patterns, shapes, and material have made men’s hats more versatile. 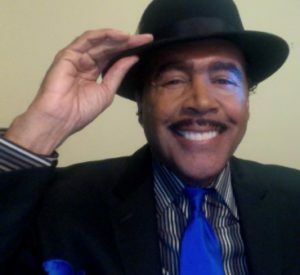 My favorite hat, the porkpie, which has a lower crown (the part that fits over the head) than the fedora, can be seen today in numerous styles. It is commonplace today, to see young men and boys wearing a fedora or a porkpie to the movies, in malls, at concerts and even in the grocery store. Whatever the level of popularity is at any given time, I think it’s safe to say that men’s hats are here to stay! Approximately 6 years ago, I accepted a job that was a promotion for me. I was nearing retirement age and wanted to retire in as high level a job as I possibly could, which would, of course, boost my retirement pension. I never planned on staying on this job for more than 3 years. Little did I know at the time, that my immediate supervisor was a psychopath from hell. I was the medical secretary/office manager of the pulmonary department of a major hospital. In the beginning, the job seemed okay. I have a history of getting along well with people and quickly established a good rapport with the technical staff. However, as time went on, the supervisor became more and more intrusive and would often take things off my desk without telling me, undermine projects I was working on, and send e-mails to me as well as to the manager to make it appear as though I wasn’t doing my job. As time went on, the woman’s behavior became intolerable and I wrote her an e-mail, copying the manager, and telling her that I could no longer work with her. She was a chronic micro-manager who had her nose stuck in every aspect of my job and I couldn’t function in the job under her “style” of supervision or lack of. I didn’t know why she hired me in the first place. Why didn’t she just do the job herself? As the months turned into years, I began to lose respect for this woman. Her constant micro-managing convoluted the process of getting work done which actually rendered her counterproductive. the straw that broke the camel’s back was when she started taking steps to get me terminated from my job when I had done nothing that would warrant termination. As soon as I left the office to go home at the end of the day, she and the manager would make a bee-line to my desk to check where I had been on the Internet. To make a long story short, she contacted Human Resources and reported to them that I was shopping on the Internet, conducting online banking and using the office fax machine for personal business. All of these things were lies. She even attempted to coerce two other employees to sign affidavits that they had seen my shopping on the Internet and using the fax machine for personal reasons. My advice to anyone who is dealing with a difficult, and in this case, a “crazy and lying” supervisor, beat them at their own game. Fight back with all you’ve got. If you have a union, go to your union and file a grievance every time the supervisor says something to you that you deem inappropriate or out-of-line. Go outside the agency or company you work for. Don’t threaten a lawsuit, file one! Go to the State Labor Board to file a complaint. File a complaint at the federal level. I filed a complaint with the Federal EEO office that she was racially prejudice (I am African-American; she is Caucasian). I knew I couldn’t prove it, but I felt very strongly that she was, so I filed the complaint anyway. I had five (5) separate grievances with my union against her for various reasons. One day, in a staff meeting, the manager of the department announced that his woman (the supervisor from hell) was retiring. Very suspicious. People don’t just retire from their jobs suddenly. Retirement requires planning, sometime taking years in the process. 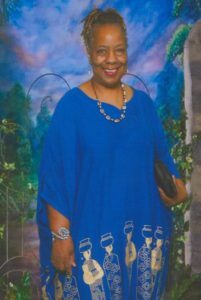 Nobody bought the store that she decided to retire because her husband had retired and she didn’t want to make the commute from where they lived into the metropolitan area. A likely story. 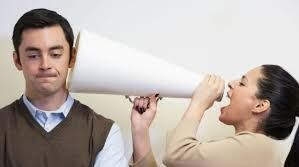 Anyone who is dealing with a crazed, maniacal supervisor, take my advice–fight, fight, fight with all you’ve got? Don’t let some unscrupulous loony tune sabotage your plans and your future to satisfy their own evil agenda. Remember, her goal was to get me fired, but look how it turned out. She’s gone and I’m still here! I’ve been working with physicians for over 10 years now and during that time I have become painfully aware that doctors are taught very little about nutrition, naturopathy, and the body’s ability to heal itself. Instead, medical schools teach them everything about synthetic pharmaceuticals which serve to only lessen symptoms, but cure absolutely nothing. Despite this dismal prospect, I am happy to report that there are still some doctors who practice naturopathy and are not afraid to try alternative methods of treating illness. One such doctor is James Said, who is internationally known, but practices primarily out of Medford, Oregon. Naturopathic medicine is a complementary and alternative medical discipline which offers scientifically-proven and evidence-based natural therapies and emphasizes the body’s intrinsic ability to heal and maintain itself. It blends centuries-old holistic medicine with modern medical science. Naturopathy includes all aspects of family health and provides effective treatments for acute as well as chronic conditions. Naturopathic doctors, like Dr. Said, use natural remedies such as herbs, nutrition and foods rather than surgery or synthetic drugs to treat illness. Additionally, naturopathic medicine focuses on whole-patient wellness. That is to say, the medicine is tailored to the patient and emphasizes prevention and self-care. 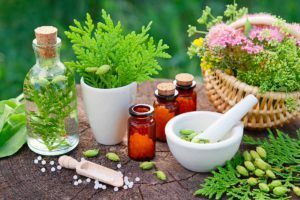 Naturopathic medicine makes an effort to find the underlying cause of the patient’s condition rather than focusing solely on symptomatic treatment. Because of Dr. Said’s expertise in chiropractic and naturopathic medicine, he treats each patient with modalities that are designed for the uniqueness of each individual. Therefore patients are given treatments that are geared specifically for them. How many times have we gone to the doctor’s office and waited sometimes for hours, only to finally be examined and prescribed some pharmaceutical drug that only masks the symptoms of whatever is ailing us. Usually the doctor is in and out of the examining room in less than 10 minutes. With Dr. Said and other naturopathic doctors, emphasis is on individual attention. For more information on Dr. James Said, please look up “Dr. James Said – Medford, Oregon” on Google or Bing. You will find his contact information there. Okay, I admit it. I’m a coffee lover and a huge fan of the Starbuck’s Coffee Shops that now exist all over the world. For those of you who are like me, we go to our local coffee house and order cappuccinos, café mochas, lattes, and espressos. Please know that it certainly isn’t the paper cup that makes these drinks taste so good, but it definitely is the recipe with maybe just a touch of the prettiness factor involved. Baristas all have a style of their own and every cup of coffee will taste different because of the roast, the grind, the amount used, the water, the temperature and many other factors. Most of us have tried to make these coffee delights at home the way we think they are made, but do we really know the way they are supposed to be made? Do we know how to extract the enchanting flavors correctly? For espresso, use equal parts of steamed and frothed milk. At 140 degrees, the milk should be poured on top of the espresso. Dust with either nutmeg, cinnamon, chocolate powder or shavings. The easiest way is to use a good brand of hot chocolate, pour in a shot of espresso, and top with whipping cream, then dust with chocolate powder or shavings. It looks best if you use a tall glass and a long-handled spoon. A good finishing touch would be to add a saucer. 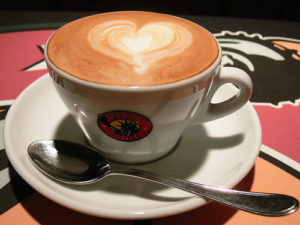 All in all, making coffee correctly is completely up to you and the way in which your taste buds react to the flavor. If you like your coffee a particular way, then make it that way. However, if you have guests over, they may just like the basics, so do both your guests and yourself a favor and know how to make your coffee beverages the correct way–with a napkin. Remember, presentation is everything! One suggestion for making a latte would be to use a chocolate-flavored cup so that the chocolate flavor infuses with the espresso. The difference between a latte and an espresso is that the latte blends the two flavors together and the cappuccino separates them. To make a good espresso, it is essential that you do the following: Use a fine grind. Tamp the espresso down firmly. Use a high pressure machine or a stovetop model. Don’t try to make too much at once. Easy does it. You must see the cream on top and it should be a golden-brown color. By all means, use an appropriate cappuccino cup to keep the temperature from dissipating too quickly. I hope this boot camp for coffee lovers has helped.